A child who suffers a birth injury faces a lifetime of challenges and understanding how the damage that was done may impact his or her life can help parents seek appropriate compensation. The type of injury and its severity will impact the overall effect of the injury. Most of the time a baby who is even moderately injured at birth is going to need accommodations throughout life. This impact is far-reaching and affects all areas of the family as they learn to navigate the new normal with a birth-injured child. Children who are injured at birth often struggle with their fine and gross motor skills. The family must often make the home wheelchair or walker friendly. The child may need other adaptive equipment to help with daily tasks throughout early childhood. Children who are injured at birth may not reach their developmental milestones as quickly as their non-injured peers, particularly if the injury affected the mental capacity of the child. Parents may need to baby-proof the house or hire in-home care for a far longer period of time than they would with a healthy child. The financial cost of these types of adjustments and adaptations can be high, and some parents will need the help of a birth injury lawyer to get adequate compensation for the injuries. When a child with a birth injury is nearing school age, accommodations may be necessary to ensure the child has access to a full range of educational opportunities. The Individuals with Disabilities Education Act requires schools to make the necessary accommodations for children with disabilities, including disabilities caused by birth injuries. This includes access to early intervention when it is deemed helpful for a child, with the ultimate goal of creating an environment that will allow the child success in learning. When birth injuries create cognitive injuries or delays, children may struggle with healthy social interactions. 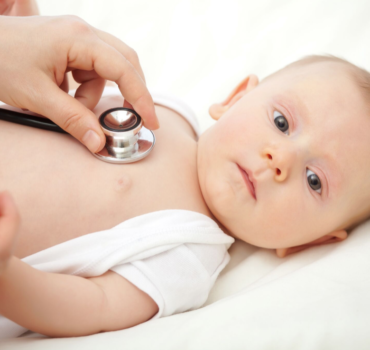 Accommodating the social needs of a child with birth injuries can result in added expenses. In addition to paying for social activities that accommodate the child’s special needs, therapy is sometimes needed to help the child cope. Birth injuries create a lifetime of special needs, but appropriate compensation can help children live as natural and normal of a life as possible, even with their disabilities.